Look for more information on our Facebook Page, and download the registration form. “EMOTIONAL” is now available everywhere on all platforms! 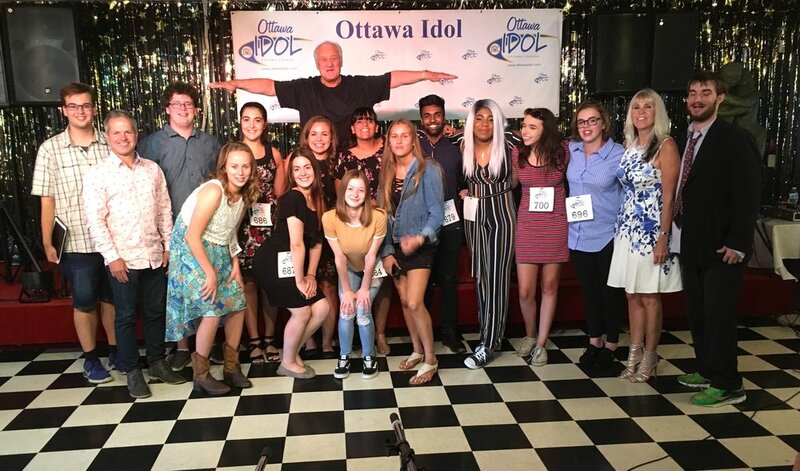 The 2018 Ottawa Idol is Victoria Rose , with runners up Nathalie Burden and Vanessa Onukagha. Abigail Lefebvre 15 from Embrun ON. Aswen Sriranganathan age 20 Nepean ON. Alexa Paiva age 15 from Osgoode ON. Cortny Jardine age 16 Casselman ON. Grace Pezoulas age 13 Nepean ON. Isabella Papalia age 18 Nepean ON. Khloe Bertrand age 14 Haley Station ON. Rachel Robinson age 13 Woodlawn ON. Vanessa Onukagha age 17 Kanata ON. Victoria Rose age 15 Kanata ON. The Top 12 will happen on September 9 also at Villa Lucia. The Top 25 will compete on September 2 at the Villa Lucia at 3430 Carling.